If you are a beginner in the world of cross stitching, then Hooties are the perfect ‘starter’ for you. If you are a veteran stitcher, Hooties are also a fun way to create something cute, with personality and you don’t have to have a PhD in quantum physics or any other form of science or research. If you can read a pattern, then you already have the qualifications required for this task. Seriously. Who can’t resist the eye appeal and overall cuteness of a miniature cross stitched owl? The beauty of the series of Hooties you’ll find on this website is that there are many of them. In fact, Hooties can be created for just about any occasion or to represent just about anything. Have a favorite sports team? There’s a Hootie for that. There’s Hooties for anything you need. Not too sure what to give that young person in your family for graduation or as a Christmas gift? Hooties come in various designs including graduates, Christmas themes and much, much more. Need Halloween decorations? There’s a Hootie for that. This is what makes them such great gifts. You can create a Hootie in minutes and give it to someone special as soon as it’s done. All you have to do is download the chart from this website for any of the Hootie mini cross stitch patterns and each contains a full alphabet. This allows you to alter each of the patterns to the colors of your choice. This is particularly handy if you are working on a cheerleader Hootie and want to incorporate the school colors. Did we mention that these were easy, too? 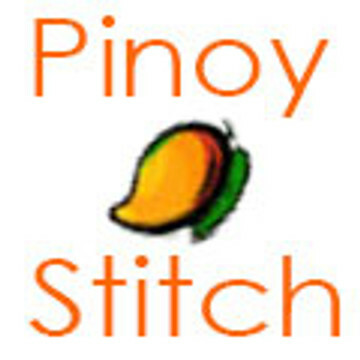 At Pinoystitch.com we have pages and pages of hootie owls patterns to choose from. Pick out the ones you like, place your order and then you’ll be able to instantly access the mini cross stitch patterns charts. From that point, it’s all yours to do with whatever you choose. Hooties are fun, fast and have nothing to do with blowfish or pub food. And, in the time it took you to read this you could have been close to finishing your first or one hundred and first Hootie!